New Product Alert! SPOT UV! Get some tips about developing a theme for your yearbook. 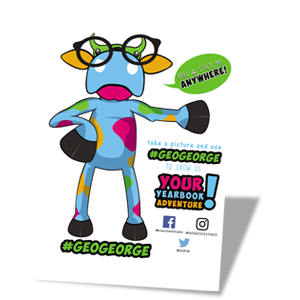 Get social with your GeoGeorge cling this year. What judges look for when judging the Yearbook Legacy Contest. Welcome Back to School, Let’s Save $$! Our back to school promotion can help you save some serious money! Is PLIC Books Your Pick? Is Pixami the Right Yearbook Design Program for You?